Everything you need to know about Mythic Plus dungeons: Keystones, mob affixes and tactics as well as rewards and loot. A bonus roll may be used at the end of a dungeon. Seasonal affixes will be added. This is one additional affix weekly presented on every Keystone level 10 and above. Affixes distribution will be changed to the following: Tyrannical or Fortified are now primary and occur on every Keystone level 2. Keystone levels from 4 to 7 have the same affixes they had before. The seasonal affix will appear on Keystone level 10. The majority of dungeons have several well-known levels of difficulty: normal, heroic and mythic. The “Legion” expansion brought us a peculiar combination of a time run challenging mode and proving grounds scenario with its difficulty level increasing but added a new component – affixes. 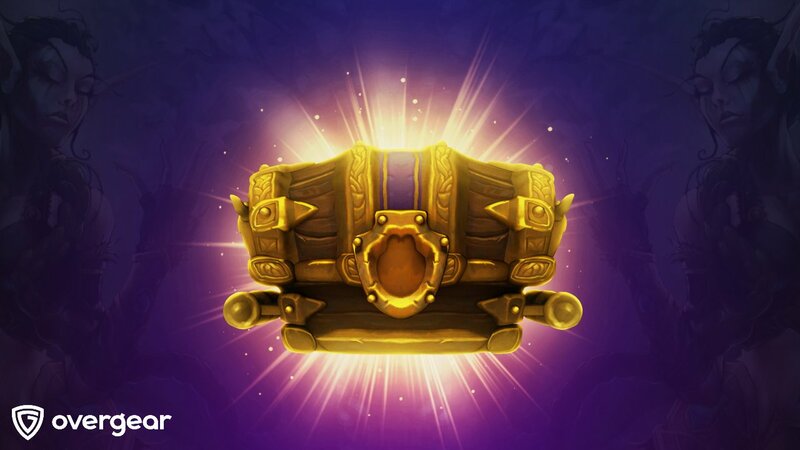 In contrast to previous trials, here one might get appropriate equipment; the quantity and item level of it depends on the mythic Keystone level a player has and on the time required to complete the dungeon. All this makes this mode close to an unending resource of getting desirable loot. A player has to be inside a mythic dungeon to activate this mode. There is a Font of Power at the very entrance that requires a Keystone of the concrete dungeon. The item’s tooltip shows the level of a dungeon and affixes of this week. A player can get a Keystone by killing bosses in regular mythic dungeons or as loot in a weekly chest in your capital city (notice that such a Keystone will be one or two levels lower than the highest mythic+ dungeon you completed the previous week). After completing a mythic+ dungeon the Keystone changes its level from -1 up to +3. The dungeon required also usually changes because the item generates once again, but still, there is a small chance to remain the same. A player cannot change talents or specialization after activating the Keystone, but can always exit the dungeon to do it. In case the party wants to summon such a person into an activated dungeon with the Warlock’s help, the following must be noted: there will be two summons needed – one to get a player inside the dungeon and the second to get him to the group’s location. There is no way to invite new party members into an activated dungeon, even to replace the ones that have left for some reason. Battle resurrections work the same way as they do in raids. All players with such an ability share a common cooldown for it. There is only one charge ready for use at the very beginning. The second one will become available only ten minutes later. The cooldown time is also ten minutes. To complete a dungeon, a party has to kill all the bosses and the stated number of mobs. Every dungeon has its time limit. If a group passes a dungeon within the requested time (+1), the Keystone will get one additional level and the loot will have one item more. The system is similar of a challenge modes in previous expansions, where “bronze” is +1, “silver” is +2 and “gold” is +3. Unfortunately, until Keystone +10, there isn’t much difference between levels. If the group cannot complete the dungeon in time, the Keystone will lose one level. Affixes are additional abilities to the foes a group may come across in dungeons. These abilities may cause the mechanics changes or the enemies’ power increasing. The higher the level of certain dungeons, the more affixes a group will get. There might be four affixes active at a time, three of them change every week, while a seasonal one remains for a much longer period of time. The first affix occurs on the first Keystone a player gets, and this is Tyrannical or Fortified affix. Boss enemies have 40% more health and inflict up to 15% increased damage. Taking into consideration the fact that the incoming damage and the health of every single creature in dungeon increase no matter what in accordance with the dungeon level, this affix may turn regular fights with bosses into two or even three minute action. In addition, some abilities start to deal an extremely high damage, and that can lead to a wipe for unprotected groups of players. It’s recommended to decide who will use personal or group protective skills beforehand. It is also advisable to maximize health limit to avoid oneshot deaths. Non-boss enemies have 20% more health and inflict up to 30% increased damage. Avoid pulling several packs of mobs at the same time while completing high level mythic+ dungeons. It’s better to have a plan for using mass stuns and interruptions for concrete targets. Also don’t be shy to help a tank to “kite” mobs (freezing, slowing, etc.). When slain, non-boss enemies leave behind a lingering pool of ichor that heals their allies for 5% of their health per second, while players are damaged for 15% of their maximum health every second. This ability can stack, so it’s very dangerous to stay in one spot with multiple corpses. In case there are any casters in a pack of mobs, try to delay your interruptions and knock back skills until some of the creatures die, so there is a possibility to drive the rest away from a pool. In case a group doesn’t have these skills, a tank may get away from the line of sight using walls, corners, and other obstacles. This will make mobs follow him and leave dangerous places as a result. While in combat, enemies periodically cast gouts of flame, each of which start to damage players for 50% of total health in the two seconds after appearing and in a two-meter radius. Such volcanoes erupt either close to a party member, or right beneath his feet. Each enemy casts one volcano once at about ten seconds. Note this ability affects only distant players, so if the whole group gathers in the melee zone there will be no volcanoes at all. But also remember, that even if everyone stays close to the boss and there is any mob spawning at a distance while in combat, the volcano will appear immediately. Periodically, all players in a dungeon get the Quake effect, which covers a five-meter area, inflicting 20% of a player’s maximum health to a player and to all nearby allies after 2.5 seconds. It also interrupts spell casting, locking out spells for three seconds. Players should disperse while this affix is active, especially melee groups. When any non-boss enemy dies, its death cry empowers allies in 30 meters distance with a Bolster buff, increasing their maximum health and damage by 20%. Try to avoid huge packs of mobs especially if there is a big difference in the number of health points among creatures in a pack. If all the enemies have the same number of health points and your group is able to finish them all together, there is nothing to be afraid of, don’t worry. Do not ever try to pull adds together with the boss while this affix is active. Even though this ability deals only with mobs, the boss will get the buff as well while in combat. If the group has stuck and experience troubles try to equalize the mobs in health they got. But in case there still are any over-buffed foes – both the tank and healer must be ready to use protective skills. The whole group may reduce the incoming damage by using stuns (the majority of other controlling skills may not work with highly forced enemies). Players can also “kite” mobs if they have slowing abilities. All successful enemies’ melee attacks apply the debuff Necrotic Rot on a targeted party member that reduces healing and absorption received by 2%. It also inflicts damage over time. It lasts for 9 seconds and may be renewed. It stacks with each successful attack. The debuff fades, however, when a player leaves combat. Try to avoid combats with multiple foes, not to get a huge amount of debuff stacks. 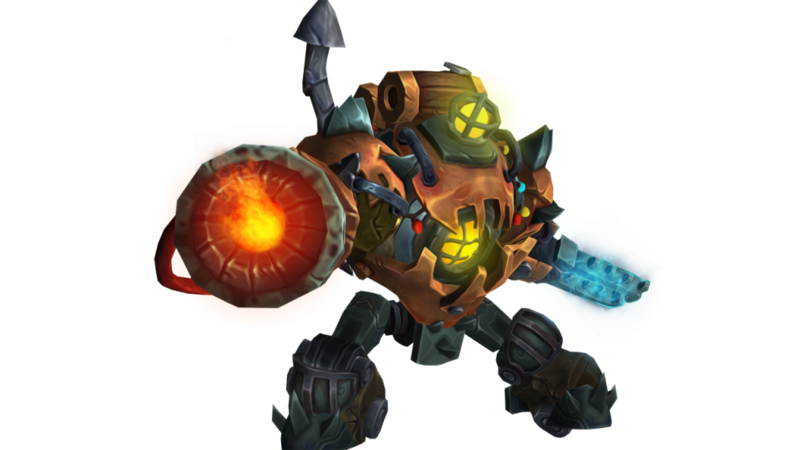 Consciously use AoE stuns to give tank an opportunity to get rid of all the debuff stacks without “kiting” – there must be a nine-second pause in receiving melee damage. Use “kite” strategy every once in a while. While having exhausting combats with bosses, damage dealers should sometimes switch the boss over to themselves to help a tank. Such talents as Force of Nature may also be very useful. All non-boss and their added enemies in dungeon enrage at 30% health remaining, dealing 100% increased damage until defeated. Save stuns until the end of concrete combat with each pack of mobs to have the chance to defeat them while controlling them. This might save someone’s life. Druids and Hunters can dispel this effect. All enemies including bosses start to behave rather strange: they pay far less attention to the threat generated by tanks. This affix is especially dangerous for damage dealers because to get agro now is a way easier. Try to organize each combat in the best possible way. Choose the priority target so that the tank can focus it. The party will have much fewer risks as a result. The Hunter’s ability “Misdirection” and Rogue’s ability “Tricks of the Trade” cast on a tank are extremely recommended. Additional non-boss enemies are present throughout the dungeon. Note, that there might be duplicated packs as well as absolutely unexpected foes for each pack. An important thing to remember: with the increased number of foes in a dungeon, the number of mobs needed to “clean” has increased as well. That means the party gets less percent for each enemy defeated. This affix is very hard to deal with. While in combat, enemies periodically summon Explosive Orbs near them. These Orbs have a small amount of Health points and start to cast a steady ability as soon as they appear. It will detonate, dealing significant damage to the whole group in a 60 meters area if not destroyed. Explosive Orbs evade all damage caused by AoE abilities. They count as regular foes and may be looted to get some class bonuses if there are any. A player cannot use macros to target Orbs – this must be done manually. The amount of Health Points and the damage done depends on the Keystone level. The more enemies a party fights with, the more Orbs spawns, so don’t pull big packs of mobs. This affix deals with healers mostly. When injured below 90% health, players will automatically get the Grievous Wound debuff, that deals damage equivalent to 2% of maximum health over three seconds. This effect may stack up to 5 times but fades away as soon as the target is healed above 90% health. The Effect deals physical damage. Blessing of Protection and Ice Block abilities can dispel this Effect. It’s important to give the healer time to heal all members of the group after each combat and to let them regain Mana, otherwise, the party may face lots of additional and unnecessary troubles. When slain, non-boss enemies explode, causing all players to have a Burst debuff and to suffer 5% of their maximum health every 2 seconds. This effect stacks which means that killing multiple foes simultaneously may be fatal. Avoid defeating lots of mobs at one time. Don’t forget to give the healer a break. They need this to keep everyone safe and sound. This is Magic and so different immune skills can dispel stacks and prevent further casting. This Affix will be present only on Keystone Level 10 and higher and will change to a new one every raiding season. Right now Infested Affix is active, but it will change as soon as Patch 8.1 comes out. Infested. Some non-boss enemies may be infested. The infested mob heals his allies within an 8-meter distance and spawns two parasites when it dies. They are weak in health but move very quickly. These parasites try to reach the nearest non-boss creature and infest it. If there aren’t any corresponding mobs, they will auto attack players. Infested mobs may be controlled as well as parasites. Control them; the others in the pack should be driven away and slain. Pull the whole pack, kill the infested mob, use stuns and slowing abilities on parasites and kill them as fast as possible. Patch 8.1 is coming which means the seasonal affix will change. The only thing known about new affix is its title – Reaping. Common suggestions are the following: certain mobs will be able to set an aura upon their allies, reflecting 75% of incoming damage back to players. The one that holds the aura should not reflect any damage. Atal’Dazar is located in Zuldazar, coordinates 43.6, 39.4. Kings’ Rest is located in Zuldazar, coordinates 37.9, 39.5. THE MOTHERLODE!! is located in Zuldazar, Horde coordinates 56.1, 59.9; Alliance coordinates 39.3, 71.4. The Underrot is located in Nazmir, coordinates 51.9 65.8. Temple of Sethraliss is located in Vol’dun, coordinates 51.9, 25.1. Freehold is located in Tiragarde Sound, coordinates 84.7, 78.7. Siege of Boralus is located in Tiragarde Sound, Horde coordinates 88.3, 51; Alliance coordinates 72.5, 23.6. Tol Dagor is located on Tol Dagor Island in Tiragarde Sound, coordinates 99.1, 47.3. Shrine of the Storm is located in Stormsong Valley, coordinates 78.8, 26.6. Waycrest Manor is located in Drustvar, coordinates 33.7, 12.7. Stats Scrolls: 1, 2, 3. Rogue – Shroud of Concealment, Pick Lock, Vanish, Sap, Blind, Cloak of Shadows and abilities. Warlock – Create Healthstone, Demonic Gateway, Soulstone, Shadowfury, Fear, Banish, Devour Magic. Hunter – Aspect of the Turtle, Primal Rage, Tar Trap, Concussive Shot, Freezing Trap, Intimidation, Spirit Shock. Mage – Time Warp, Polymorph, Arcane Intellect, slowing abilities for Frost Mages such as Blizzard, Ice Block, Invisibility, Spellsteal. Death Knight – Death Grip, Gorefiend’s Grasp, slowing abilities like Chains of Ice. Demon Hunter – Sigil of Misery, Chaos Nova, Darkness, Netherwalk, Imprison, Consume Magic, Spectral Sight. Monk – Leg Sweep, Ring of Peace, Paralysis. Warrior – Battle Shout, Storm Bolt, Rallying Cry, Intercept, Shockwave, Spell Reflection. Paladin – Hammer of Justice, Repentance, Blessing of Sacrifice, Aura Mastery, Divine Shield, Blessing of Protection, Lay on Hands, Blessing of Freedom and Retribution Paladin Buffs: Greater Blessing of Wisdom and Greater Blessing of Kings. Shaman – Capacitor Totem, Hex, Thunderstorm (Elemental specialization), Spirit Link Totem (Restoration specialization), Earthbind Totem, Purge and Reincarnation. Druid – Rooting abilities, Typhoon, Ursol’s Vortex (Restoration Druids), Mighty Bash, Soothe. Arcane Torrent – Blood Elf racial ability. Removes one beneficial effect from all enemies within 8 meters and restore 3% of your Mana. It’s very useful in BfA dungeons. War Stomp – Tauren racial ability. Stuns up to 5 enemies within 8 meters for 2 seconds. This is an additional AoE stun, rather short but effective. Shadowmeld – Night Elf racial ability. This ability is very useful when there is a need to evade the pack of mobs or to survive while the whole group dies. Light’s Judgment – Lightforged Draenei racial ability. A very useful skill, because it inflicts a huge amount of damage on packs. Players will get three items if they complete the time run dungeon condition. Players will get two items in case they won’t be able to do that. There is a point in completing dungeons with Keystones Level 11 and higher because there will be a 40% chance to get an additional item. If the time run conditions were not accomplished, players get one item less. Players get an item as a reward for the previous raiding week. The item level depends on the highest level dungeon you have completed that week. After Patch 8.1 releases, there will be a chance to get currency to buy Azerite Armor. Mounts can drop not only in +0 mythic dungeons.